Hoang Huy Financial Investment Services JSC (hereinafter referred to as Hoang Huy Company) has recently been selected to implement HH3, HH4 apartment building projects, Dong Quoc Binh ward, Ngo Quyen district with total investment capital over VND1,700 billion. Hoang Huy Financial Investment Services JSC has recently been selected to implement HH3, HH4 apartment building projects, Dong Quoc Binh ward, Ngo Quyen district with total investment capital over VND1,700 billion. By breaking old buildings to build new apartments, Hai Phong is becoming a good and effective way. Previously, in April 2017, Hoang Huy Company was also selected as an investor of an investment project to renovate and rebuild old U1, U2, U3 Le Loi, Ngo Quyen precinct with total investment nearly VND110 billion. 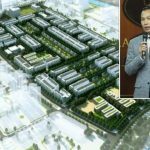 The City’s People’s Committee approved the construction of VM1 apartment building, Van My ward, Ngo Quyen district with a total investment of VND700 billion. In order to ensure the interests of investors, in addition to the number of apartments to be re-allocated to apartment residents, a flat rate is granted to investors trading business. In addition, the investor will be reimbursed by other reciprocal land funds. In early November, Hoang Huy Company participated in successful auction and transferred assets attached on land of Song Cam Shipbuilding Joint Stock Company, at No. 1 and No. 8 Chi Lang Road, Thuong Ly Ward , Hong Bang district. Accordingly, the company has auctioned large land in the center of the city with the price of only VND85 billion and proposed the city People’s Committee allowed the adjustment of planning, converted into residential land to create land fund bar For BT projects awarded by the Company. According to a report from the Hai Phong Department of Construction, the progress of the old apartment renovation is accelerating and it is expected that by the end of November 2017, the Bach Dang Construction Corporation will complete and hand over the apartments to residents at U19 Lam Son. Then, in December 2017, Hoang Huy Company will hand over the Le Loi N1 building and in February 2018 handed over the Le Loi N2 building. Haiphong now has 205 apartment blocks with about 8,000 households. 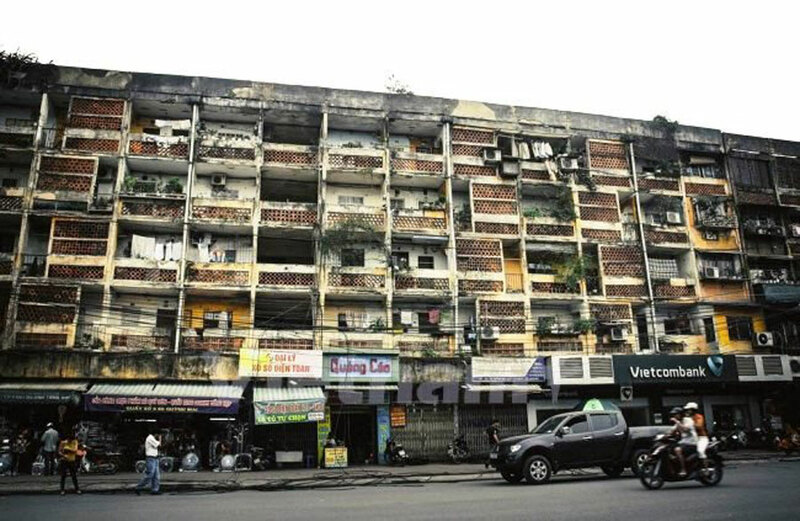 The renovation of old condominiums in the form of the BT project is being considered as a “race” by the three contractors namely Bach Dang Construction Corporation, Hoang Huy Company and Top Construction & Development Joint Stock Company. from Hai Phong. The implementation of projects in the form of BT is considered to be “contributing to the effective mobilization of social resources into the city”. You are reading the article Hoang Huy was selected to renovate the former Hai Phong apartment building using BT method in the Real Estate category at https://realestatevietnam.com.vn/.Any information sharing, feedback please email to info@realestatevietnam.com.vn, Hotline 0909890897 (24/7).